Wow! Great family home - 1340 sq.ft. 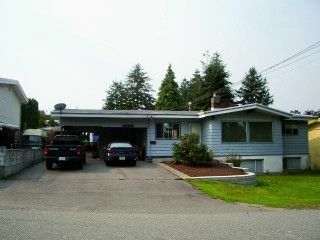 3 bedroom rancher with full 1300 sq.ft. basement - developed with 3 bedroom legal suite! Central Abbotsford BC. Large lot - 73' x 106'. Double carport. Lots of renovations completed in the last 5 years. Call Ron Dulle 604-864-1732 to have a look.